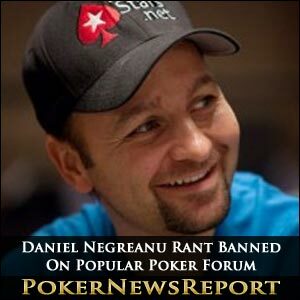 Canadian poker pro Daniel Negreanu received a temporary ban from the world’s largest public poker forum for attempting to post a link to his latest weekly video rant in violation of the forum’s strict policy of not allowing advertising. The one-day ban was enacted after Negreanu attempted to post a thread on TwoPlusTwo to promote this week’s video blog. 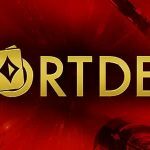 The site’s moderators labelled this as “spamming” due to the video’s promotion of the upcoming iSeriesLIVE poker tournament that is set to launch on April 5 in Dublin, Ireland. 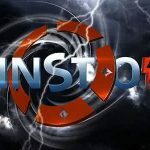 Apparently, KidPoker attempted also to create yet another thread based upon, and dedicated to, iSeriesLIVE, a breach of the poker forum’s established terms of service. Negreanu reacted to the deletion of his attempted posts and his temporary banishment from the site via his own account at Twitter, arguing that his posts and thread creations were merely done to update his fans about his latest endeavors, including the upcoming iSeriesLIVE tourney. His argument was that he had provided links to his video blogs in the same fashion on several occasions in the past. The iSeriesLIVE events, hosted by Poker Royalty, are scheduled to be a number of interactive poker tournaments featuring some of the most well-known poker players in the game today, including Phil “the Poker Brat” Hellmuth, Dave “Devilfish” Ulliot and, of course, Negreanu. 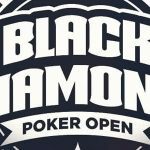 The participating players’ hole cards will be exposed to allow viewers watching live over the Internet to see the cards and experience exciting poker action along with some of their favorite players. The pros will be sequestered and required to forfeit any mobile devices before being seated at the table in order to prohibit any outside influences to interact or interfere with the players. 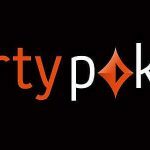 Poker fans will have the opportunity to access PaddyPower’s sportsbook and place live wagers on any of the players. In addition to betting on the winner or wagering as to which player will be first to be eliminated, other bets accepted include certain players lasting longer than others. April’s inaugural event is a 10-player SitNGo featuring a 10,000 Euro buy-in, with a winner-take-all payout structure. Future events are slated to feature tourneys consisting of 36 players, 6-max no-limit tables, heads-up tournaments and other tournament play variants. The players involved in the iSeriesLIVE events will collect a fraction of the wagers placed either on or against them, which has never before been done in poker’s history. Negreanu’s video blog rants, which allow the 37-year-old pro to express his views on a variety of topics ranging from homosexuality to staking players, are usually quite informative and entertaining. However, when revealing his feelings on the Full Tilt situation, Negreanu often spews hatred and ridicule upon board members of Full Tilt Poker like Howard Lederer, Chris Ferguson and Ray Bitar. The name-calling and lack of respect for his colleagues sometimes bring the weekly rants down to a 5th grade schoolyard level. However, the latest blog rant was Negreanu’s best to date, as he avoided the verbal attacks and instead focused on the iSeriesLIVE tournaments, as well as donning a wig and imitating one of poker’s most colorful personalities, Scotty Nguyen. The temporary ban at TwoPlusTwo is only for one day, so Negreanu will be able to post threads again the following day, provided that he does not attempt to advertise or promote any concerns with financial opportunities at stake.